If you’re visiting the Windy City soon, you should learn about unique Chicago area hotels before you travel. After all, you can choose to stay in a ho-hum hotel such as the Holiday Inn or Best Western, but your stay will be much more memorable if you choose a hotel with as much personality as the city it’s in. Here’s a look at five of the coolest Chicago area hotels. Love funky décor? Thrive on a laid-back atmosphere? Then Hard Rock Hotel Chicago is the perfect place to stay. 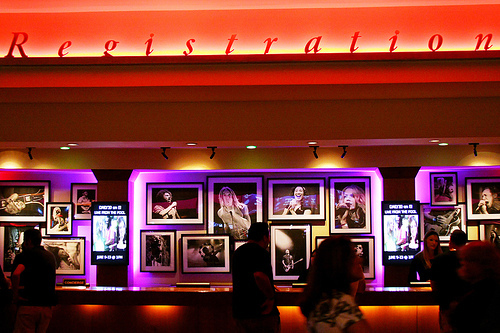 If you’re a guitarist, the deal is even better, thanks to the unique picks program, which delivers in-room guitars or basses for your entertainment. Choose from 20 different Fender models, including Stratocasters, Telecasters and more. The Rock Shop is another unique aspect of the hotel, selling works from various talented artists. In addition, the Hard Rock Hotel is pet friendly, permitting pets under 40 pounds to accompany you during your stay. If you’re prepared to go all out during your stay, stop in at the Drake Hotel, a luxury lodging option that pulls out all the stops. Premier rooms overlook Lake Michigan for an incomparable view during your stay. The Drake Hotel opened in 1920 and features designs from the Italian Renaissance, two gorgeous ballrooms, a secluded lobby, and a members-only club. Celebrities who have stayed here include Frank Sinatra, Elizabeth Taylor, Marilyn Monroe, Prince Charles and several politicians. To lodge in absolute luxury overlooking the Chicago River, check out Trump International Hotel & Tower. This soaring 92-story edifice is within walking distance of celebrated Michigan Avenue shops. The rooms are styled with contemporary décor, starting at 600 square feet with 10-foot floor-to-ceiling windows, an urban-style kitchen area and an unobstructed view of the lake, river or city. For a different view of Chicago, investigate W Chicago Lakeshore. This is the only hotel in Chicago with a direct view of Lake Michigan. Bring your flip-flops, weather permitting, since there’s easy access to the beach as well. W Chicago Lakeshore doesn’t disappoint if you’re looking for something romantic after your inviting lounge session on the beach. For example, the deluxe rooftop lounge with a view of the beach or a dinner for two at the premier Wave restaurant could be just what you need if you’re traveling for pleasure. The hotel also caters to singles and business travelers. This stylish, unique Chicago area hotel is situated in the heart of downtown. The full-service spa and fitness studio at Fairmont Chicago help you unwind or stay in shape during your travels. The recent $50 million renovation has thoroughly established it as one of the most popular hotels on the Loop. Step outside and enjoy downtown surroundings, from Grant Park to the Navy Pier to the Magnificent Mile. The exclusive Aria restaurant offers an American spin on global comfort foods. If you love wine, cheese and chocolate, then you’ll adore Aria at Fairmont Chicago. Enjoy your visit to the Windy City, and book your stay at Chicago area hotels in advance for the best rates and rooms possible!